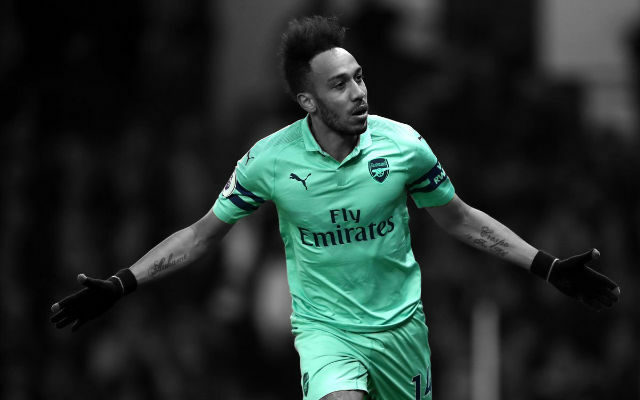 A first-half goal from Pierre-Emerick Aubameyang was enough for Arsenal to pick up a crucial away win in the Premier League. It was a slow start for Arsenal. The home side really dominated the ball in the opening ten minutes but things turned around in an instant for Arsenal. It all started when Pierre-Emerick Aubameyang chased down a seemingly lost cause as the ball came to Ben Foster. 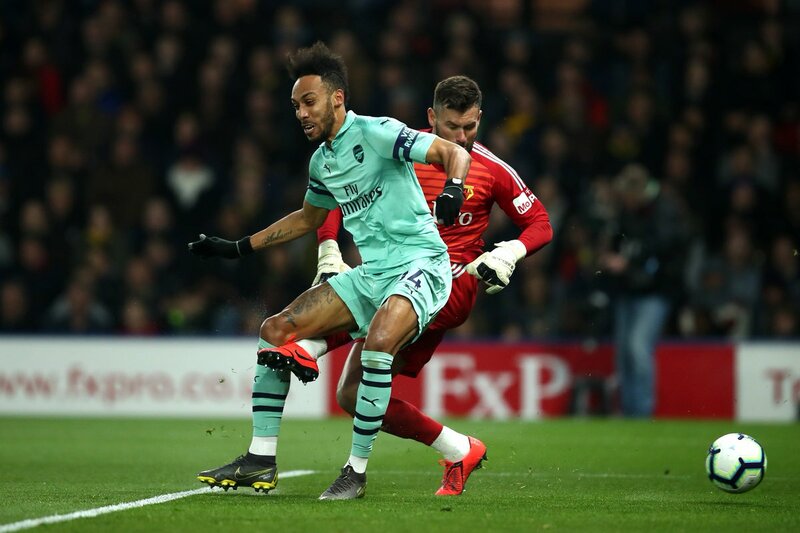 The Watford goalkeeper dawdled on the ball and Aubameyang blocked his clearance right into the back of the net. Things went from good to great for the visitors when Watford striker Troy Deeney was handed a red card within two minutes of the goal. 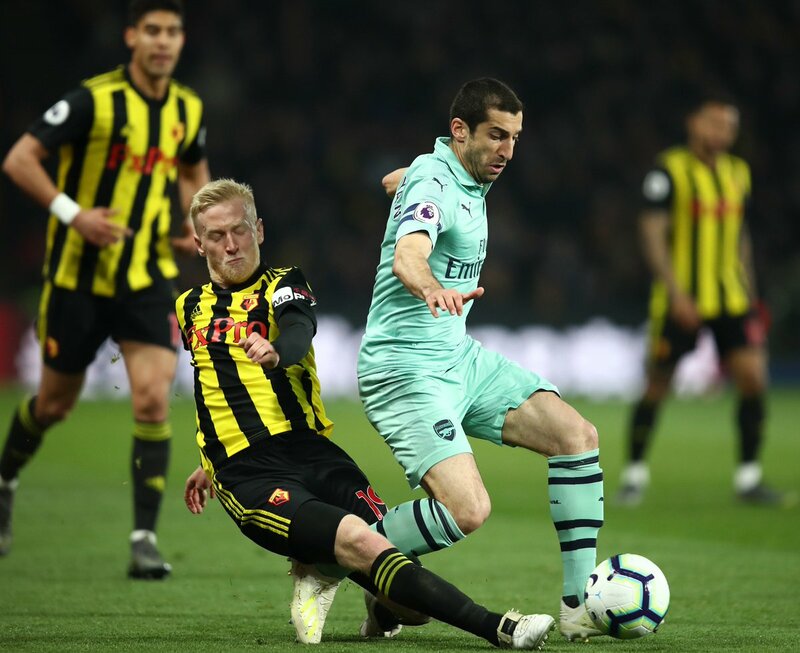 The Hornets’ captain grabbed the headlines in this fixture last season and did so again as he caught Lucas Torreira with a trailing elbow in the middle of the pitch. Those two minutes flipped the match on its head. Arsenal started to see more of the ball but the visitors continued to fashion opportunities in front of goal. Bernd Leno produced a couple of good saves to keep the score at 1-0 as the Gunners saw the match through to halftime with their advantage in place. 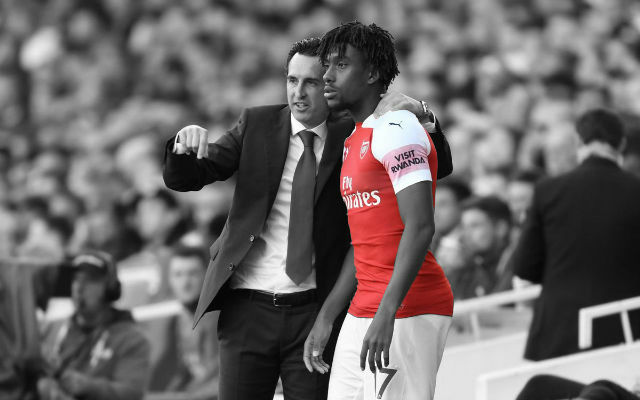 There were plenty of Arsenal changes in the second half as Unai Emery rotated his personnel and formation. 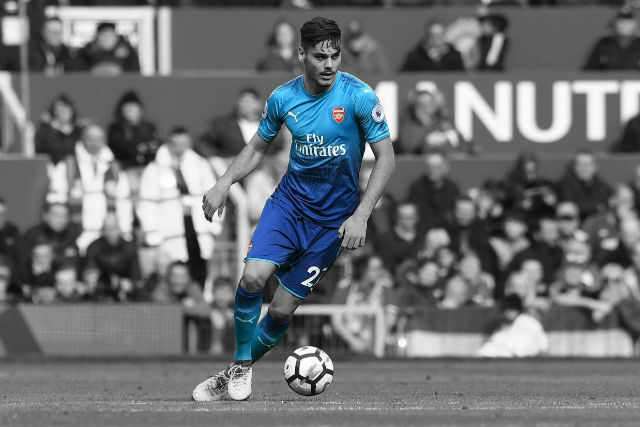 Mesut Ozil, Matteo Guendouz, and Ainsley Maitland-Niles entered the fray as Arsenal moved to a 3-4-3 formation with the intention to counter-attack. 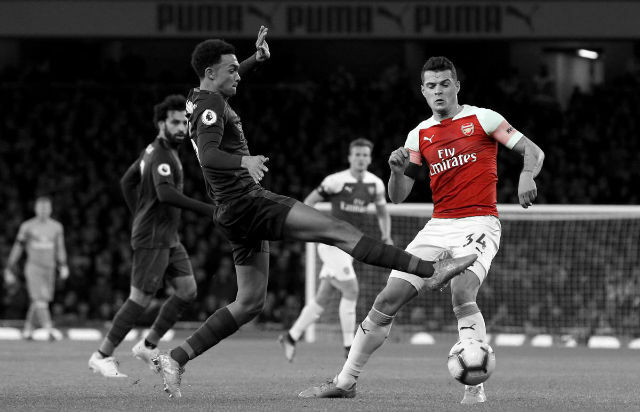 The Gunners looked more comfortable defensively with the back three as they held onto the ball for much of the final 20 minutes to see out the match and secure all three points. He can be pleased with his night. Bernd Leno pulled off a couple of impressive saves to keep Arsenal in the match, the best of which was to deny a first-half attacking free kick. Shkodran Mustafi played well at right-back. The German was solid in one-on-one situations if he did concede a couple of soft fouls in dangerous areas. Arsenal’s captain played well enough. It was a quiet night for Laurent Koscielny but he stood up to the test and took tremendous care of the ball. 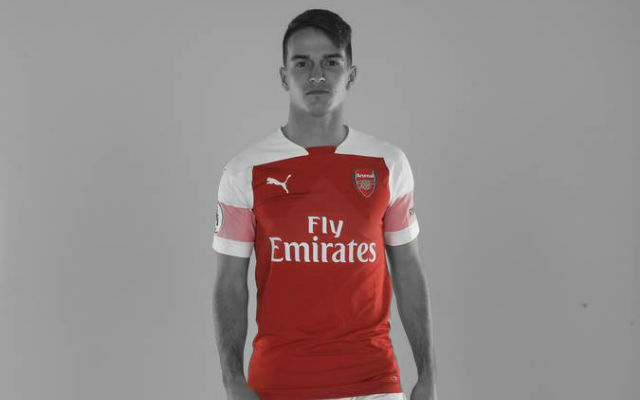 It was a tough night for Dinos Mavropanos but he can be fairly pleased. The Greek defender started slowly and looked a little nervy throughout but improved as the match progressed. He struggled to find a way into the match. Matteo Guendouzi looked a little off the pace as he entered the pitch and didn’t really improve. He did well. Nacho Monreal put in a good performance at left-back, especially defensively. The Spaniard covered and tracked back well, providing a crucial clearance to deny a certain goal in the first half. He can be reasonably pleased. 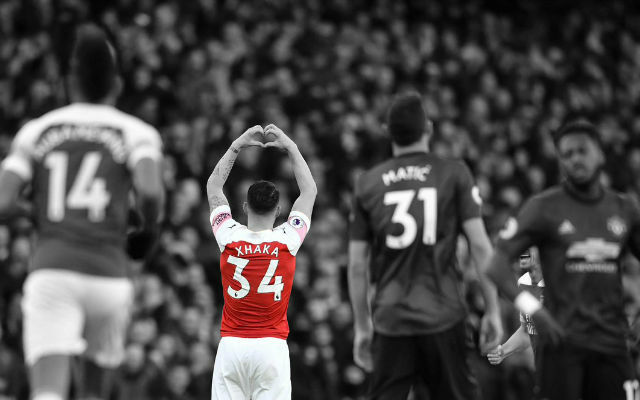 Granit Xhaka impressed during his return to the starting lineup. The Swiss midfielder moved the ball well and covered defensively. A strange half for Lucas Torreira. Some good moments carrying the ball overshone his numerous losses of concentration and poor decisions. He had his moments. Mesut Ozil impressed in the opening stages of the second half but drifted out of the match as Watford grew into it. Aaron Ramsey was okay. The Welshman worked hard in a couple of different positions. A very good cameo for Ainsley Maitland-Niles. The Englishman adapted well to the pace of the game and produced one crucial, game-winning defensive block. It was a poor night for Henrikh Mkhitaryan. It’s baffling how he played the full 90 minutes as better-performing players were replaced in his stead. The Armenian struggled to get into the match and when he did, his final ball was rash. He was Arsenal’s best attacking player on the night but there was still a lot to improve on for Alex Iwobi. The Nigerian international was lively and willing to receive the ball down that left flank. He drove forward well but his final ball was poor. A tough night for Pierre-Emerick Aubameyang. He didn’t see a great deal of the ball during much of the match but grabbed the crucial goal.